Or, how I spent my week starting at Ballotpedia and the Oregon Secretary of State’s website and losing all faith in humanity. Rachel’s note: I started writing this blog post in October, when I was working on this article about Weston, Ore.’s seventh recall election in 15 years. Trying to understand why a town of 700 people had so much political turmoil, I ended up finding that Oregon’s laws make recall elections really easy, so I decided to try to make a map showing every recall election in Oregon I could find. The resulting map took me most of a week (with a good chunk of overtime) and is here. I never published the blog post because I never finished it (or the map, really—I still want to clean up my data table and post it). But I think the humorous things I found while researching are worth sharing, so here you go. Decide to revitalize my efforts to chronicle Oregon recalls. Consider how long this will take and wonder whether I’ll end up having enough hours to get paid for it. Forge on anyway. Discover that my method of looking on county elections websites for recall attempts is going rather slowly. Also, several smaller counties don’t appear to have working websites or websites with a comprehensive list of election results. 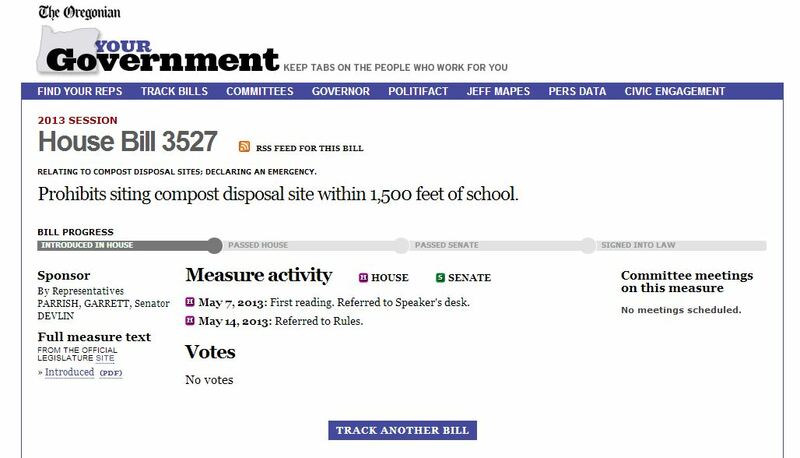 Begin investigating recall committee information via the public search tool on the Oregon Secretary of State’s website. 4:13 p.m. After discovering the existence of 79 recall-related committees, take a break to Facebook. 4:35 p.m. Back to work. Ballotopedia has helpfully guided me to their list of Oregon recall attempts. 5:35 p.m. Realize I’ve just finished 2012. We’re going to be here a while. 5:52 p.m. Call it a day after getting halfway through the 2011 recalls. 11:03 a.m. Resume combing Ballotpedia data. Come across my first recall which seems serious–a 2011 attempted recall of four city council members in the city of Oakridge was prompted after a $420,000 hole was discovered in the city’s budget. The story apparently made national headlines and led to a significant investigation by the Register-Guard, though surprisingly, all four held on to their seats. 8:51 a.m. Another town, Lakeside, had two separate recall petitions filed in the same month: one for five city council members, the other for the remaining councilor and the mayor. The article notes that, had all attempts been successful, the city would have been left with no council or mayor.